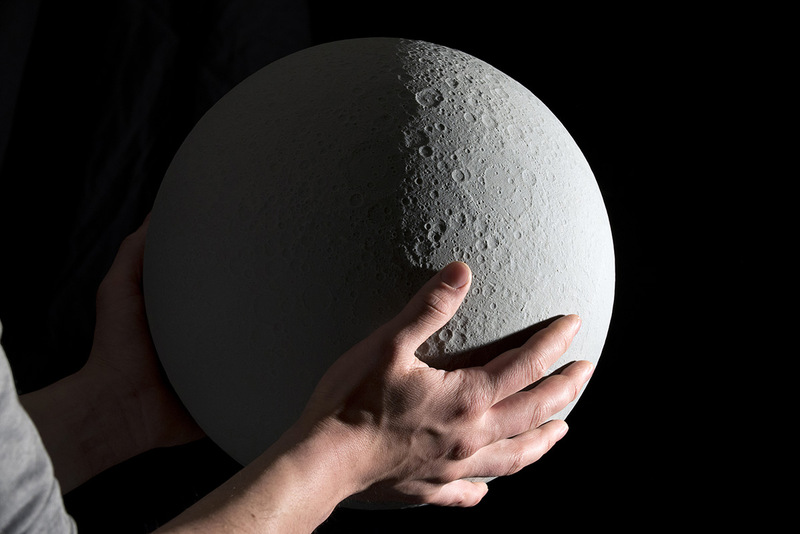 The first topographically accurate lunar globe. Made with NASA’s Lunar Reconnaissance Orbiter data combined with expert craftsmanship in mold making. 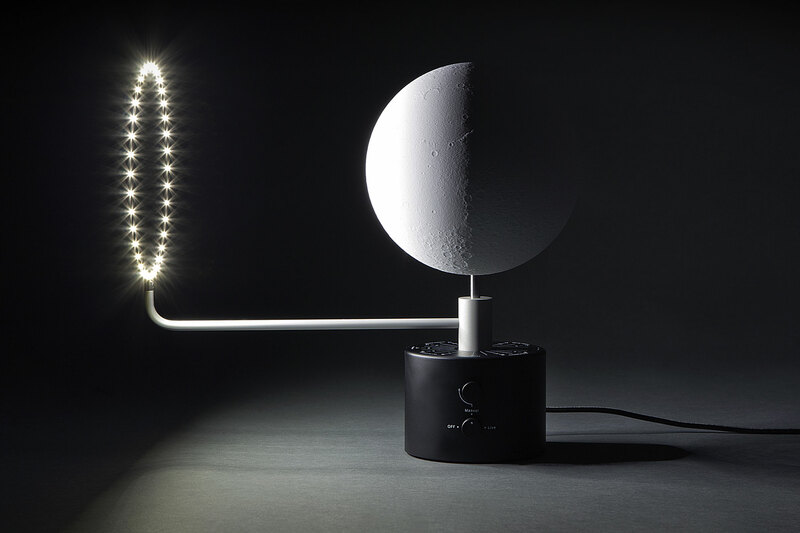 A hand moulded moon replica mounted to a robotically controlled light arm that moves daily to display the current lunar phase.